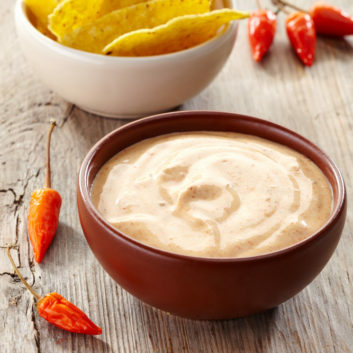 This protein-packed and flavor-filled condiment will be a fiesta for your taste buds. Give it a try. Mix together Greek yogurt and taco seasoning in a small bowl. Add salt and pepper to taste.